After two years of learning Kanien’kéha in an immersion setting, Ioniehtenháwi Brittany Beauvais realized her dream was to teach her language. “It doesn’t seem like a job to me. It’s more like a passion,” said Beauvais. The 29-year-old has been working as a teaching assistant at Karonhianónhnha tsi Ionteríhwaienstáhkhwa, a Kanien’kéha immersion elementary school in Kahnawake, since graduating from the Kanien’kéha Ratiwennahní:rats Adult Language Immersion Program in 2016. Now she’s hoping to further her career as one of 30 students enrolled in a new bachelor of education program offered by the Kahnawake Education Center and McGill University. “Working as an assistant, I realized this is what I want to do,” said Beauvais. It’s the first time the intensive 120-credit program will be offered in the community. Graduates will receive a bachelor of education in First Nations and Inuit Education, and will be certified to teach kindergarten and elementary students throughout Quebec. Robin Delaronde, director of the Kahnawake Education Center, said the four-year program will be tailored to Kahnawake’s needs, including classes being offered during the evening in the community and culturally-relevant course material. 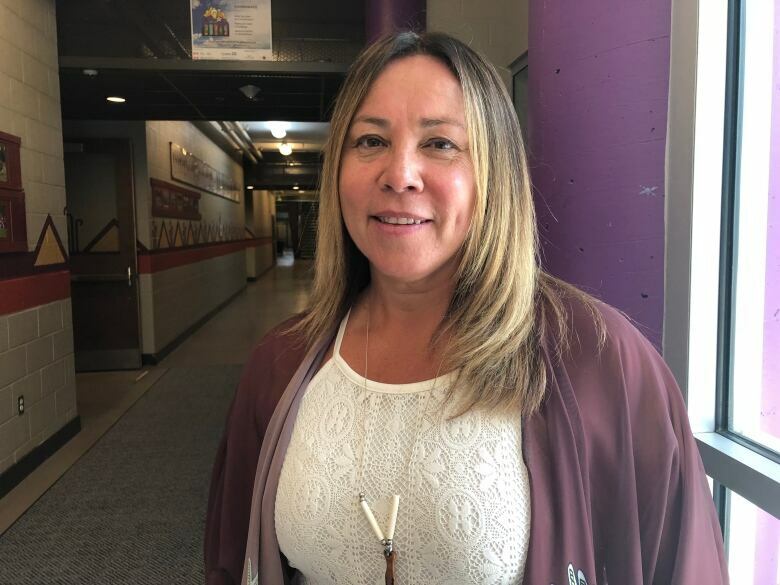 “It’s so important that they have all of the course requirements needed for teaching but equally it’s important that they have a clear understanding of how to teach through our own world view and perspective as Indigenous people,” said Delaronde. Delaronde graduated from McGill’s bachelor of education program in 1988. She said the thing it was missing was preparation on how to teach in her own community. “They’re going to be fortunate to have both,” she said. McGill’s investment in the program stems from the Truth and Reconciliation Commission’s calls to action, as well as the provost’s Task Force on Indigenous Studies and Indigenous Education, which called upon the university to develop more in-community delivery of education degrees and certificates. “The provost office has made Indigenous success a key priority,” said Christopher Manfredi, provost and vice-principal academic at McGill. The opportunity to pursue a university degree in her own community is what drew Skanaié:’a Deer to the program. “It’s very close to where I live; it’s the exact field that I want to go into,” said Deer. Like Beauvais, Deer is also a graduate of Ratiwennahní:rats. Her experience in the program helped her find her passion for teaching Kanien’kéha. Last summer, she began volunteering at Iakwahwatsiratátie Language Nest, a a Kanien’kéha immersion program for parents/caregivers of children aged 0-4. “I’ve always had an aptitude for for languages and I’ve always loved kids,” said Deer.